As of August, 1st, Christina Sanchez-Martinez, a native of the Stann Creek District, officially became the island’s new health inspector. She recently took over the post held by Horris Patten. 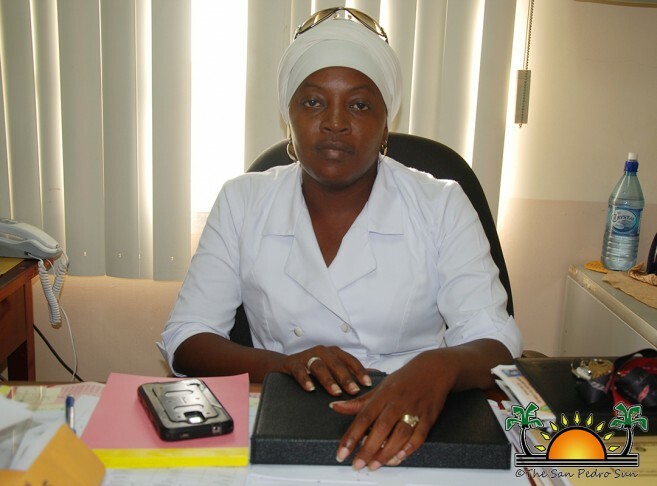 Martinez is no stranger to the island, having been on Ambergris Caye as a health educator before. She is happy to be back in her new capacity, and looks forward to working together with the island residents to create a cleaner, healthier place to live and work in. The senior public health officer has been in the Ministry of Health for 14 years. During this time, Martinez has been stationed in the Belize District, thus, her close relation to Ambergris Caye. She has a strong background in health education, following the completion of her public health training at the University of Belize. “As a health inspector and health educator in the Belize District, I reached out to almost every community promoting health programs, thus, Ambergris Caye is not new to me,” said Martinez. During her time on the island, Martinez hopes for continued support to deal with the health issues that islanders experience on the island. “One of the main issues is the way septic systems are built,” she said. “Many times, when a construction project gets approval, we give suggestions on how to better build a septic. However, since our department is under-staffed, it is hard to monitor every single project.” She believes that with everyone’s cooperation, her job will be easier and a lot more could be done for the benefit of the residents. Aside from ensuring a healthier and cleaner island for everyone, Inspector Martinez will also work along with the Belize National Emergency Management Organization (NEMO), playing a key role when it comes to disaster preparedness. In view of the on-going rainy season, it is recommended that everyone keep their yards clean so as to avoid any breeding ground for mosquitoes, which can cause vector-borne diseases such as Dengue and Zika. The San Pedro Sun welcomes Health Inspector Christina Sanchez-Martinez and wishes her the best in her endeavours while on the island.